Everyone now agrees that power morcellators as used now are not safe because they increase the risk of cancer in women. Experts at the FDA disagree as to whether or not they should be banned or continue to be used, but with stronger warnings. The question is simple: should we ban morcellators and pull them off the market? An FDA panel of independent advisers met last week in Bethesda, Maryland to discuss exactly this. The experts were split as to whether the medical devices should be banned outright, or whether the option should still be made available, with informed consent. Let’s back up. What’s all the concern about? The history here is stunning. In December of last year, the FDA and, let’s me honest, most of the world has been sleeping on the issue of whether these morecellators can spread cancer that otherwise might have laid dormant. Five months later, in April, 2014, the FDA issued a statement urging doctors to stop using power morcellators for uterine fibroid removal and hysterectomies. As someone who follow the history of how the science unfolds in mass tort medical device cases, the speed of this discovery of what has always been there to be seen was breakneck. Yet is was in front of the FDA and morcellator manufacturers’ faces all along: these morcellators are cancer spreaders. How so? Doctors have no way to know whether the fibroids they are breaking up with a morecellator have cancerous cells. It is estimated that one in 350 women who undergo uterine fibroid surgery have unsuspected sarcoma contained within the uterus, while another one in 400 have the even deadlier, leiomyosarcoma (LMS). These cancer cells can be hidden inside of the uterine fibroids. If a fibroid contains cancer cells, the cutting of the uterus with the power morcellator will cause cancer cells to spread throughout the peritoneal cavity, posing an extremely serious risk to a woman’s health. The spreading of these cells can quickly ignite the spread of the cancer. While a recall was not issued in April, the FDA indicated that it would convene an advisory panel to determine what additional regulatory steps should be taken. Despite the lack of a recall, many hospitals and doctors announced that they would no longer use the device until further guidance was provided. Johnson & Johnson’s Ethicon unit, the largest manufacturer of the morcellator, did something that surprised me: it stopped sales as well as production of the device, pending further FDA recommendations. What are the benefits and can it be made safer? In recent years, more than 500,000 procedures were performed annually using the morcellator, due to benefits which include reduced recovery time, less pain, and minimizing of scarring and risk of infection. This was a big deal. No one is pretending otherwise. But these benefits were assumed to come without the trade-off of additional risk. 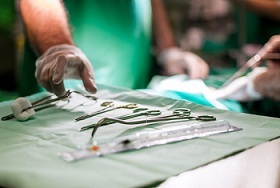 The use of a surgical bag was an option available to surgeons, which could have contained the tissue, thus mitigating some of the risk of spreading cancer during a hysterectomy or myomectomy. Many surgeons believed it was not worth the trouble, as the risk was low and it was a hassle to do during the procedure. The option was revisited, but the advisory panel shot it down because they don’t want to go in circles. There is no way to know if the bag will do the trick. The advisory panel’s recommendations are not binding on the FDA, nor has the FDA indicated when a final decision would be made on the morcellator’s future. It is anticipated though, that the panel’s recommendations and findings will weigh heavily in the FDA’s final decision. In the meantime, a number of uterine fibroid morcellation lawsuits are already being pursued, alleging that as they are currently designed, power morcellators are unreasonably dangerous, and that the manufactures knew or should have known about the risk. In 2006, a pathologist specifically wrote to J&J (through a subsidiary, Ethicon) and laid out all of the sorted details, concluding that a classic hysterectomy was safer. 2006? It’s 2014 and the public is just being made aware? Tragically, as we see far too often, profits far outweigh public safety for these manufacturers. If you or a loved one has had a procedure where a power morcellator was used, and have since been diagnosed with uterine cancer, contact us now to discuss your concerns and your rights. There is no cost or obligation, the consultation is completely free. In fact, there is no cost or expense of any kind unless a recovery is ultimately obtained for you. Contact us at 800.553.8082 or online here. The statute of limitations with these claims is a tricky one, so the sooner you pursue your concerns, the better. Does this spell the end for Morcellators?